BELLA LM is a self-taught graphic designer, illustrator and mixed media artist that combines traditional and digital methods while blurring the lines of reality. 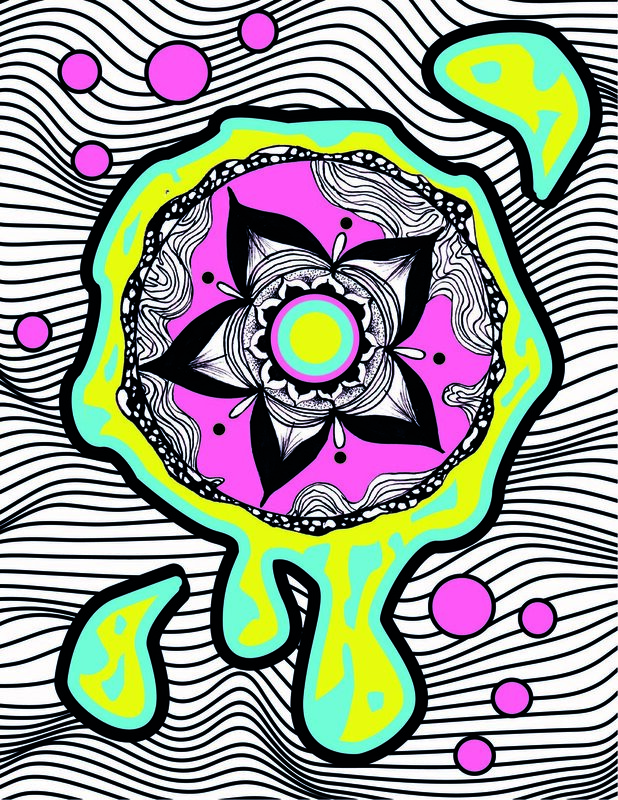 Each piece shakes up the normal structures of art and society through abstract patterns, alien figures, surreal backgrounds, zentangles, psychedelic themes and bold colours. She finds inspiration in emotion, enlightenment and letting your mind run free on a blank page through different mediums such as acrylic paint, ink and digital illustrations. She currently resides in Toronto, Ontario, where her first art show was at the Kensington Market Art Fair in June 2018. BELLA LM is best known for her ability to inspire others to pursue their creative abilities and never be afraid to explore your mind. Art is a tool of healing and finding yourself, which is important for everyone – her art reflects this passion and hopes to inspire others to find their magic.